you're taking a holiday, Sheep? Yup. 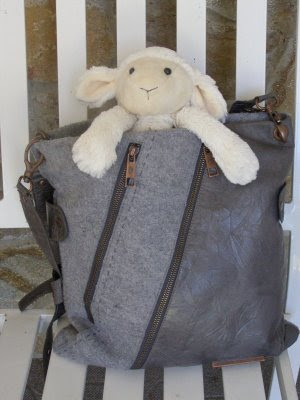 "Think I'll go out to Alberta..."
BTW, this stylish bag is from Knockabouts in Carman, MB.